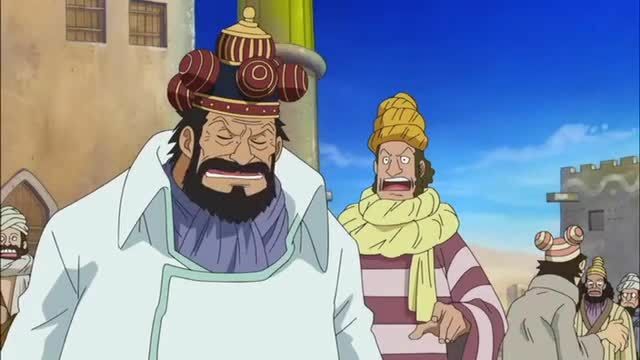 You will Watch One Piece Episode 453 English Dubbed online for free episodes with HQ / high quality. Stream anime One Piece Season 13 Episode 32 The Friends’ Whereabouts! The Weatheria Report and the Cyborg Animals! As Luffy’s ship heads to Marine Headquarters, the scene shifts to a point some time in the past. Nami is still on Weather Island, which slowly heads toward the Sabaody archipelago at a pace determined by the winds. She sees the old man demonstrate his ability to summon large rains and store thunderstorms in soap bubbles. Meanwhile, Franky is still acting like a gentleman under the effects of the tea, and the boy with him wonders when cola will arrive to return him to normal. Franky is attacked by several cyborgs in the forest, causing the tea in him to bubble over and restoring his usual personality, which enables him to defeat the cyborgs with ease. Franky learns that Dr. Vegapunk, who modified Kuma, made the cyborgs, and reaches a house with Vegapunk’s name on it, triggering an alarm as he goes in. 5 / 5 - 41 ratings.